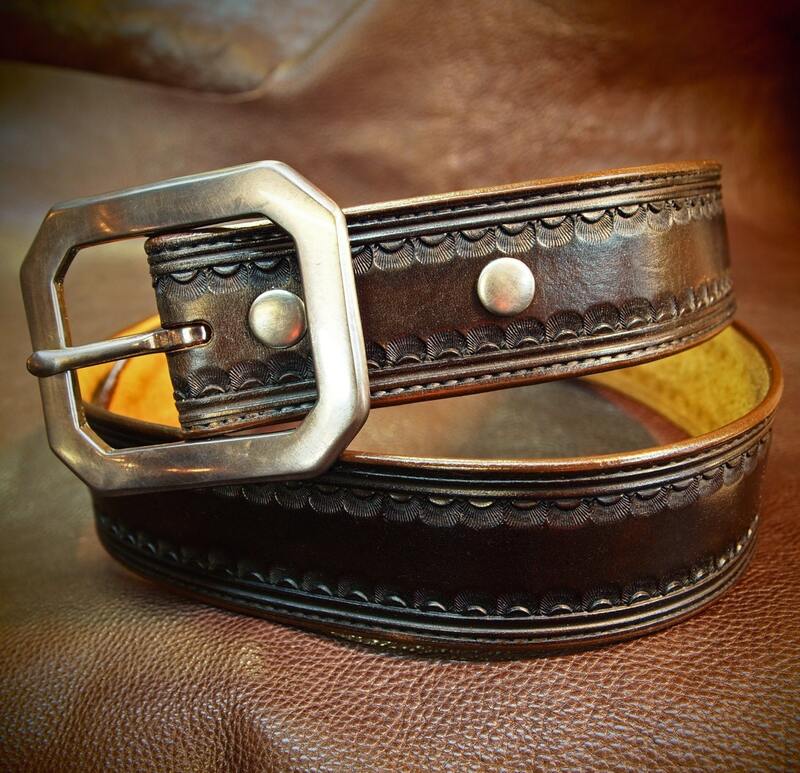 This brown leather belt starts as a hide of 9 oz. High quality vegetable tanned leather. It is hand cut to 1-3/4" and hand stamped with a Classic western border. It's dyed in a vintage dirty dark brown. It has smooth finished edges right down to a tapered english point. The entire belt is then waxed and polished to a beautiful sheen! 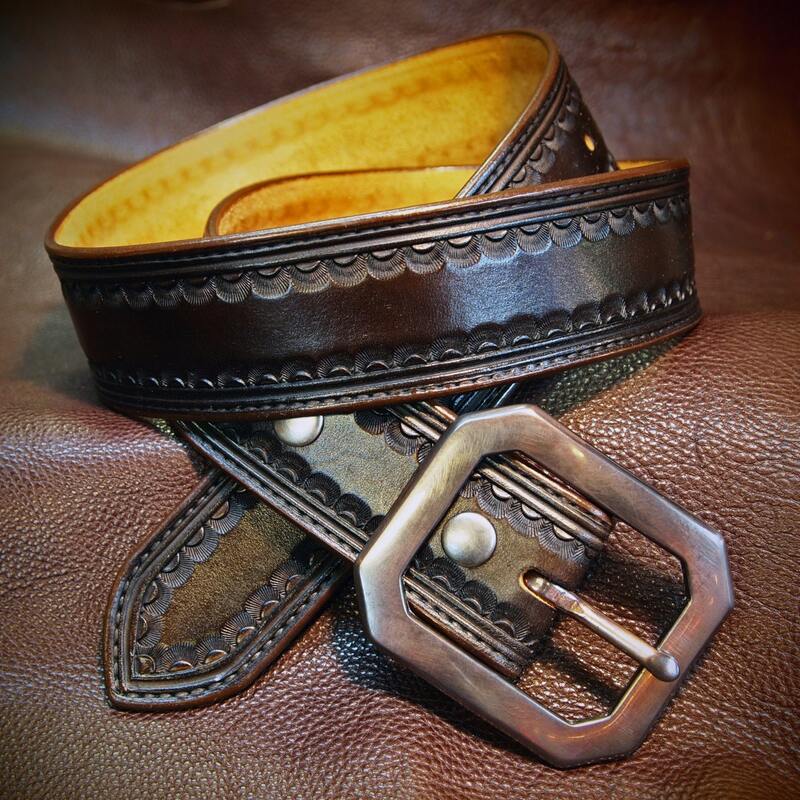 A hand aged classic clipped corner centerbar buckle closes it up and 2 aged snaps allow the buckle to be changed! I need your waist size for this belt! It can be sized for guys or girls! Please use the pic above to measure your existing belt from the hole you use to the end of the belt! I've been looking for a nice quality tooled belt for a long time, and this is exactly what I'd been hoping for. I love how it looks and the quality is excellent. I own 2 other handmade belts, and neither is close to as well made as this one. My others don't even have finished edges, one's edges were sharp enough to cut me when I wore it. 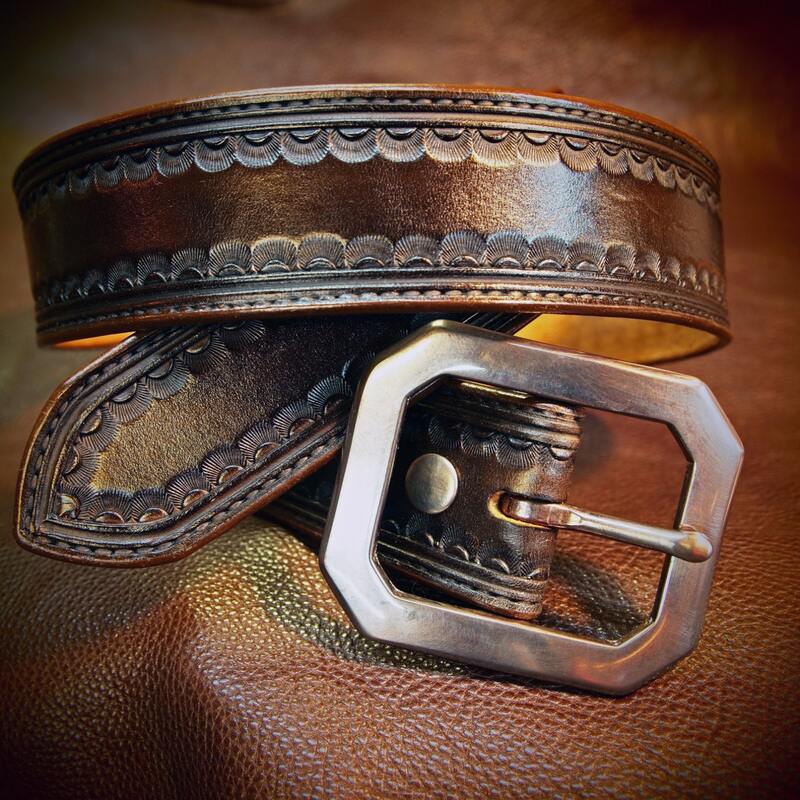 The edges of this belt are nicely beveled and burnished, it's so great to have an artistic belt that's comfortable to wear and completely polished. Great work. I spent a really long time thinking about buying this, I'm glad I finally went for it.